Does the most expensive health insurance plan in America guarantee cancer survival or better yet actually keep you from getting sick in the first place? The best health insurance policy is NOT to get sick to begin with. Who among you could NOT afford health insurance that costs only 50 cents a day? Steve Jobs, Victim of the American Cancer Industry? 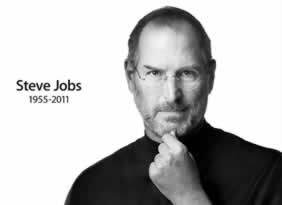 By now, just about everyone in America is aware of Steve Jobs passing away. I am no Apple fanatic. I cannot say that Steve impacted my life at all. I am more of a COBOL, JCL, mainframe kind of guy, who late in his life got hooked on IBM Personal Computers rather than the Mac. Nor, have I ever used an iPhone, iPod, or an iPad. In short, I do NOT own any gadget that starts with an "i". What Steve Jobs means to me is that he is yet another well known person younger than me who has died from cancer, in recent years. Steve is reported to have died from complications of pancreatic cancer. He had a liver transplant in April 2009. In 2011, he received treatment for neuroendocrine cancer. You may recall that Patrick Swayze, also, died from a form of pancreatic cancer. Vitamin D explains why people get cancer with a new DINOMIT theory of Cancer Development. Not many, just 4.4 percent, of people with pancreatic cancer receiving conventional medical treatment survive longer than five years, USA Today reported. A statistic that probably makes the Cancer Industry in America, very wealthy. The best conventional medical treatment plan in America does NOT cure cancer, nor guarantee survival for more than a handful of years. Here is a question for you. If one of the wealthiest persons in America cannot survive conventional medicine's best treatment plan for cancer, then what are the chances for a person without health insurance surviving a similar medical crisis in America? If 50 cents a day for something that keeps you healthy is too much to spend, then you could actually slash the cost down even further by NOT taking the recommended two blood tests a year. Taking 5,000 IU of Vitamin D a day, when purchased from eVitamins costs less than ten cents. I would hate to think that Steve Jobs, along with a slew of other celebrities in recent years, died before their time, simply because they were NOT aware of the vitamin D revolution. Did they at the very least receive complementary vitamin D therapy along with their conventional medical treatment? Dr. Mercola has an interesting 50 minute long video on why Steve Jobs died before his time and how a lot of other notable celebrities had died from falling victim to the academic priesthood of well known conventional cancer treatment centers. Mercola's video offers a very cynical view that oncologists know that they cannot help their celebrity patients from the very beginning of their conventional cancer treatment. The public still has time to get on board the vitamin D bandwagon. It is, also, about time that conventional medicine officially recognized the effectiveness of vitamin D-3 in preventing cancer; just like many foreign countries have already done by increasing the daily recommended dosage of vitamin D to at least 1,000 IU a day. Research on the effectiveness of vitamin D against pancreatic cancer is NOT exactly totally positive. One Finnish study in 2006 found "higher vitamin D concentrations were associated with a 3-fold increased risk for pancreatic cancer." However, another 2006 study found that "higher intakes of vitamin D were associated with lower risks for pancreatic cancer." In this positive study, "participants consuming 600 IU/d or more of vitamin D experienced a 41% lower risk for pancreatic cancer when compared with those consuming <150 IU/d." Subsequently, a number of other studies have attempted to explain away the fluke findings of the negative Finnish study.